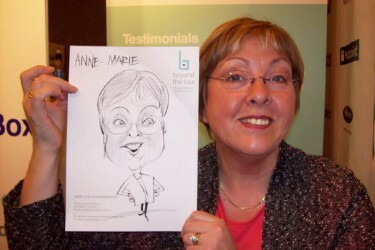 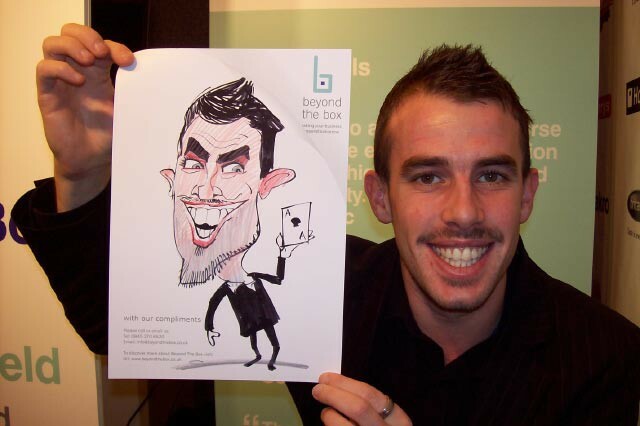 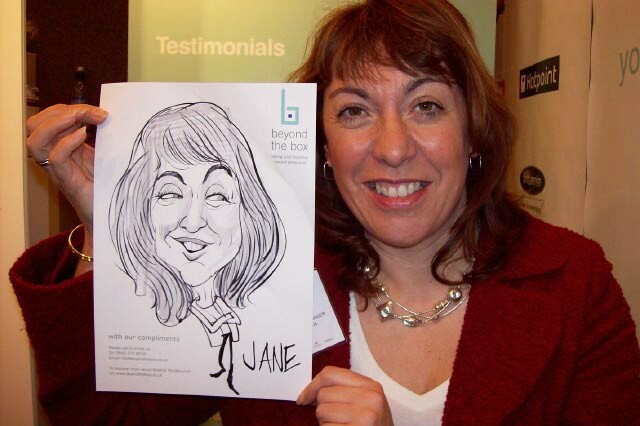 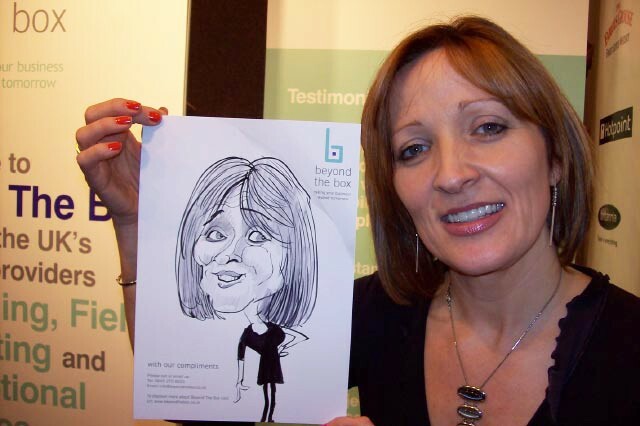 What better way to attract customers and potential customers to your stand than giving them a free caricature to take home. 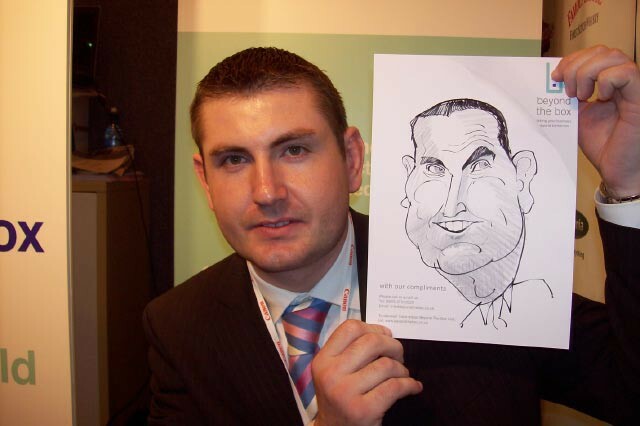 I am happy to brand the paper with your company logo or products. 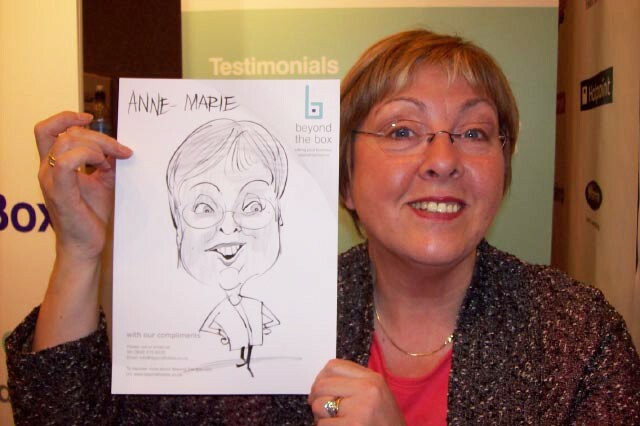 I can either wander around the stand inviting people in for their pictures or remain seated whilst the staff bring people over to me, where they can carry on talking whilst I draw them. 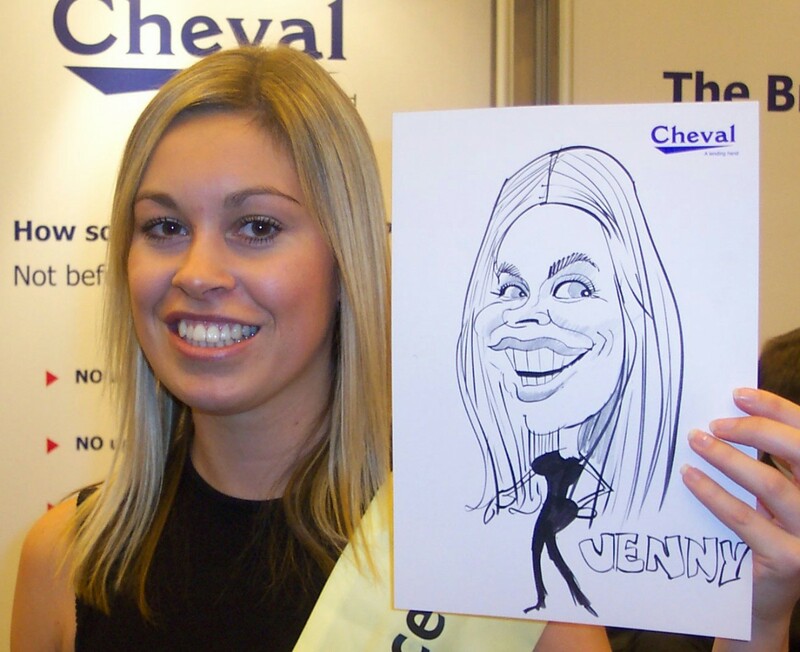 My very first corporate job was a trade show in Utrecht in Holland working for a pharmaceutical company where I think I drew every chicken farmer in Europe!